When Amazon launched a product called Mechanical Turk (MTurk) just over a decade ago, the e-commerce giant billed it as an online service to enable a marketplace of workers to complete tasks in exchange for payment. But it didn’t take long for the product to become a significant research tool in psychological science worldwide. In 2011, psychological researchers Michael Buhrmester, Tracy Kwang, and APS Fellow Sam Gosling published a paper in Perspectives on Psychological Science titled “Amazon’s Mechanical Turk: A New Source of Inexpensive, Yet High-Quality, Data?” The paper has been cited more than 2,300 times, according to Google Scholar. And it’s easy to see why there is such intense interest in MTurk. Data collection can be much faster online, and MTurk subjects often are compensated at a lower rate than are university students or individuals from other samples, making MTurk research cheaper than average. The service is also an equalizer of sorts — researchers at small schools can have access to large samples that previously were available only at larger research universities. And it’s hard to beat the convenience of posting a study online just before bedtime and waking up to a complete data set. But over the last few years, psychological scientists have begun viewing MTurk with a more critical eye. Many have been concerned about the unique characteristics of the MTurk sample, the appropriate amount to compensate MTurk subjects, and the recent fee increases that Amazon has levied on researchers who use the service. A fundamental aspect of MTurk’s success is that, in most cases, the subject pool appears to produce quality data. Some of the earliest MTurk research determined that results from online studies often mirror results from lab studies. 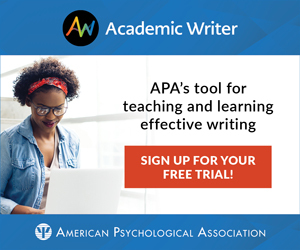 APS Fellow Jeffrey Karpicke (Purdue University), who uses the tool to study students’ learning and memory, believes that this makes the service a valuable tool. “We are very enthusiastic about MTurk. We have done several experiments both in the lab and on MTurk, and the results look the same,” Karpicke said. Although results may be consistent across laboratory- and MTurk-based versions of a study, some researchers continue to investigate the idiosyncrasies of the MTurk subject pool. Scientists who were among the earliest users of MTurk claimed they were capturing samples that were far more representative than the traditional pool of undergraduate students. But now, researchers have determined that MTurk subjects have their own set of distinctive characteristics. Many MTurk subjects rely on the service as a source of income. They congregate in online communities, akin to employees meeting around the water cooler. These communities, such as Turkopticon (maintained by researchers at University of California, San Diego), allow MTurk subjects to rate experimenters or labs on a variety of different dimensions, including compensation to subjects. (This author’s rating on Turkopticon is found below — it appears that he could improve the amount he pays subjects.) Another digital water cooler can be found in the subreddit “HITs Worth Turking For” on Reddit.com. Whether and how these ratings affect the quality of subjects who participate in a given study is unclear, and these questions should be important topics for future investigations. And unlike in a laboratory study, in which a researcher can observe a subject going about an experimental task, the convenience of the Internet comes with a level of opaqueness that can be a challenge to fully grasp. Researchers can use manipulation and attention checks as a way of trying to gauge whether subjects complied with study instructions, but there’s no way to guarantee that workers are actually devoting their undivided attention to the study task. In fact, some even admit to completing MTurk tasks while at work. Another concern with having a core community of workers is that they eventually can become “expert” subjects. Whereas college undergraduates may spend a year or two participating in several studies across many psychology disciplines, MTurk subjects, on average, participate in dozens of studies, sometimes simultaneously or over very short periods of time. A 2015 study by an international team of researchers suggests that these subjects’ experiences with common research materials (e.g., the “ball-and-bat problem”) mean that they may not respond as researchers expect them to. Chandler and colleagues followed up with subjects who earlier had completed a series of psychology tasks via MTurk. Subjects were contacted a few days, about a week, or about a month after initial participation and were asked to complete the same tasks online a second time. Some subjects were assigned to the same condition they were in initially, whereas others were assigned to different conditions. The psychological scientists found that the effects of the experimental manipulations were smaller in the second experiment compared to the first. The decrease in effect size was greatest when subjects were assigned to a different condition in the second study than they were assigned to in the first. The authors wrote that they found “no direct evidence of a mechanism underlying this decline,” but speculated that several potential factors — including practice effects, cognitive elaboration, and motivation to perform a certain way — could be at work. Additionally, the large number of repeat subjects participating in a given experiment means that the reach of MTurk is narrower than one might expect. A recent study led by psychological scientist Neil Stewart (University of Warwick, England) suggests that researchers using MTurk have an available sample size of 7,300 subjects — greater than the average university research pool but far from the 500,000 workers from 190 countries that Amazon advertises. The average rate of pay on MTurk is well below the federal minimum wage of $7.25 per hour. Earlier this year, PBS Newshour produced a piece titled “The Internet’s hidden science factory” detailing some of these issues. The program described one worker who estimated completing 20,000 surveys, some presumably psychology experiments, over a 5-year period (that’s more than 10 per day). Pay is low and the tasks are sometimes repetitive, leading some to refer to MTurk as a “digital sweatshop.” That’s what led a large group of MTurk workers a year ago to petition Amazon CEO Jeff Bezos to improve worker conditions. One site has even proposed an MTurk code of conduct for academic requesters. “Many workers consider $0.10 a minute to be the minimum to be considered ethical,” the document declares. And there may be real repercussions for breaking these guidelines: “Tasks paying less … are likely to tap into a highly vulnerable work pool and constitutes coercion.” And when accusation of coercion is involved, university Institutional Review Boards may take interest. “I think there is a very strong case for paying more to hit a living-wage level,” said Stewart. Money also has become a source of contention for researchers using MTurk. Several months ago, MTurk rolled out a commission increase that’s costing researchers more money. A Twitter roundup by the Society for Personality and Social Psychology captures researchers’ complaints about the changes. Prior to this increase, Amazon took 10% of payments to subjects in processing fees. Now, the fee is 40%, assuming the researcher is collecting more than 10 subjects’ worth of data at a time. A 200-subject 15-minute study, for instance, would originally have cost $330, but now costs $420, assuming a low payment of $0.10 per minute. “These changes would be intended to allow us to increase our investment in the marketplace and bring future innovation to Mechanical Turk that will benefit both Requesters and Workers,” stated the official MTurk blog a short time before the price increase occurred. As of yet, no one has noticed any innovations. Researchers unwilling to rely on MTurk alone have the alternative to synthesize MTurk data collection with other kinds of studies. For example, Steven Isley, a quantitative policy analyst at the National Renewable Energy Laboratory in Colorado, uses MTurk to test ideas before conducting larger-scale studies for the US Department of Energy. Conducting dual online and offline studies also allows researchers to replicate their own work within different populations before seeking publication. There also are choices for researchers who want to conduct Internet research while avoiding MTurk altogether, as several alternative services have sprung up to fill a perceived need. A site called Prolific Academic advertises high-quality, diverse, and naive subjects. The service requires that researchers pay subjects a minimum of $7.50 per hour. Prolific Academic was founded by Ekaterina Damer (University of Sheffield, United Kingdom), a doctoral student in psychology, and Phelim Bradley (University of Oxford, United Kingdom), who is pursuing a PhD in genomic medicine and statistics. Qualtrics, the popular survey software, also advertises its Qualtrics Online Sample service. Enter the number of subjects needed, the length of the survey, and several other details, and a researcher is on his or her way to beginning data collection. The site SurveyMonkey offers a similar service called SurveyMonkey Audience. Other choices are detailed in a 2015 preprint by Eyal Peer (Bar-Ilan University, Israel) and colleagues. Of course, the cost of these made-to-order samples varies. According to personal communication with the Qualtrics marketing team, 100 subjects participating in a 20-minute study would be “looking towards the low thousands.” In other words, none of these options is likely to beat MTurk in terms of affordability. Finally, as Buhrmester noted, the convenience of online studies affects not only how subjects behave in studies, but also how experimenters conceive of the studies in the first place. Despite those concerns, Buhrmester believes MTurk has strong potential. Tara Behrend will be speaking at a Cross-Cutting Theme Program on “Advancing Psychological Science Through Technology” at the 2016 APS Annual Convention, May 26–29 in Chicago, Illinois. Good article. You missed the article by Bates & Lanza, North American J. of Psych., 2013, 15, 385-394. Basically favorable to MTurk. I’ll Send a copy if you like. Hi Lynn — thanks for the recommendation! I will investigate and let you know if I can’t find a copy. Thanks for reading. Maybe it is my oversight, but I haven’t found any discussions about the confidentiality of the data collected on MTurk. This is the phrase directly from MTurk website. “In addition to the disclosures described in our Privacy Notice, we may disclose to Requesters your name, address, data on HITs you have completed, and Provider Tax Information.” If this is true, how did previous researchers explain this to the IRB? Was the IRB ok with this? K. Andrew DeSoto is the Methodology Fellow at the Association for Psychological Science. He has his PhD in psychology from Washington University in St. Louis and researches metascience, recognition memory, confidence, and collective memory. He can be contacted at apsobserver@psychologicalscience.org or on Twitter at @kadesoto.